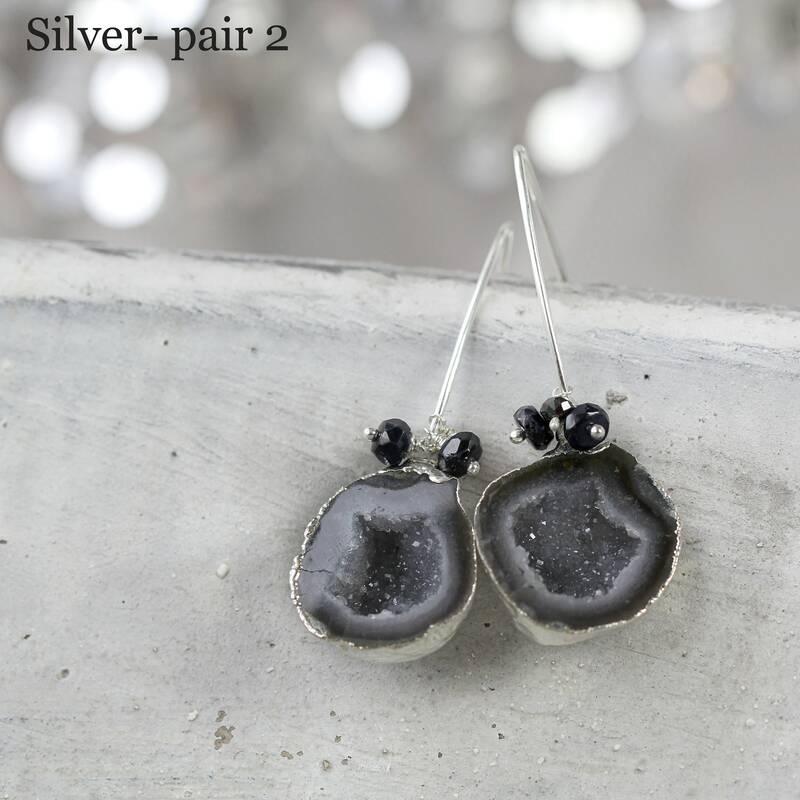 These unique black geode earrings are simply, and naturally, beautiful. They will bring sparkle, statement and style to any outfit or occasion. 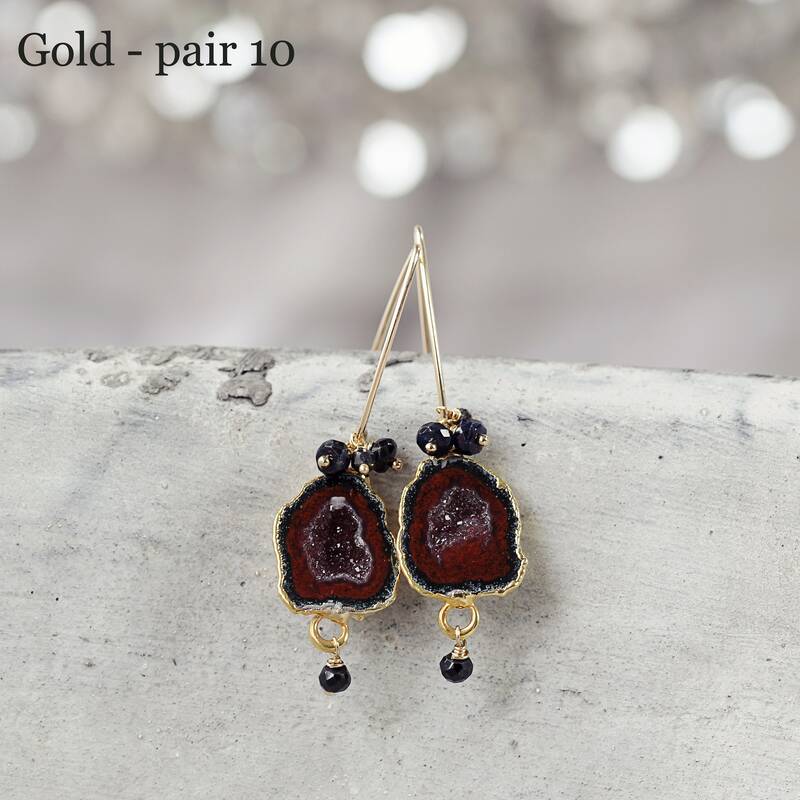 Perfect party earrings, they will help you breeze through all your days and nights with style and ease! 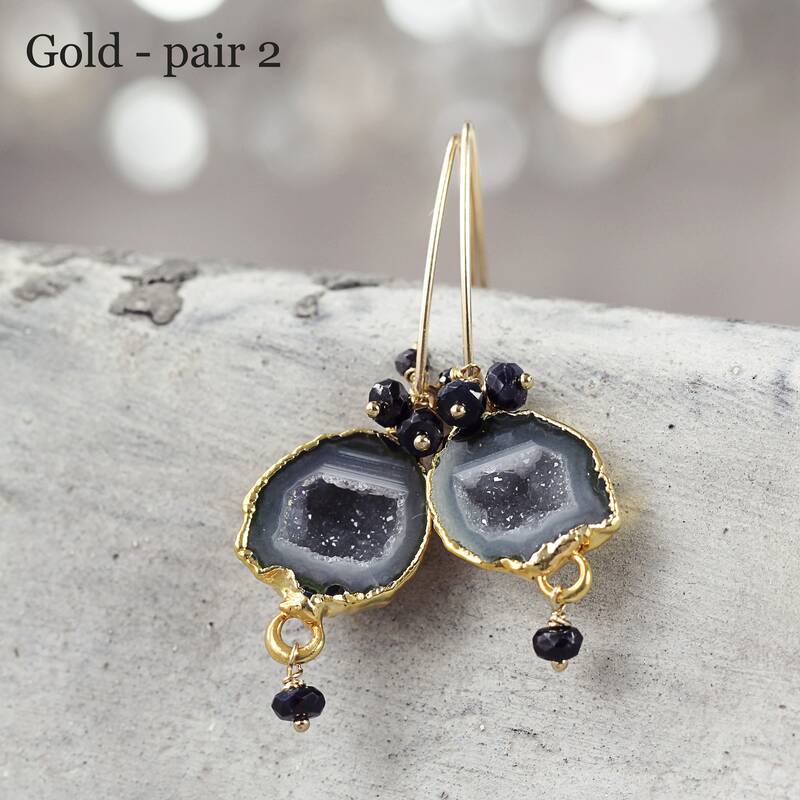 Featuring exquisite geode stones, each with their amazing crystal centre revealed, swinging from sleek and stylish 24k gold filled or sterling silver ear wires. 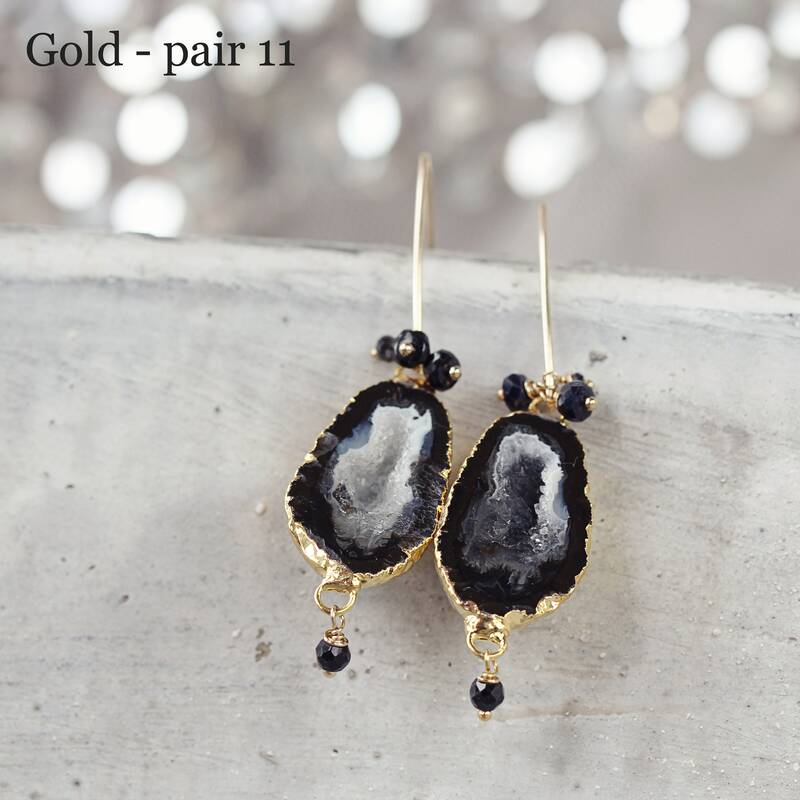 Hanging above the geode is a little cluster of black spinel and genuine diamonds - not rough diamonds - cut, faceted and polished black sparkling diamonds! 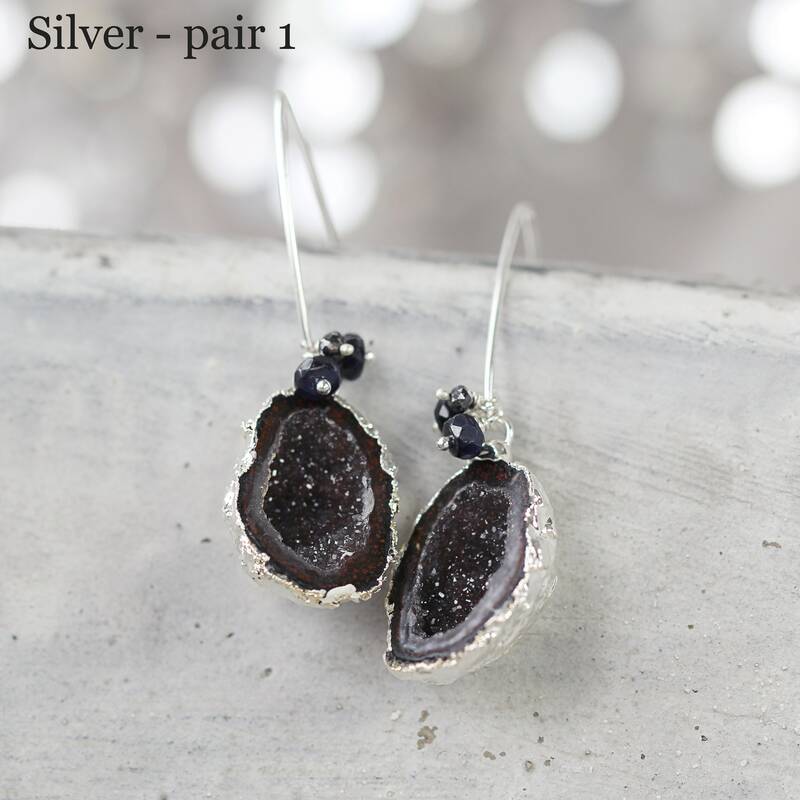 Each geode pair is utterly unique and original, making these earrings truely 'one-of-a-kind'! Every pair has some natural shading with natural, neutral black, grey and white tones. 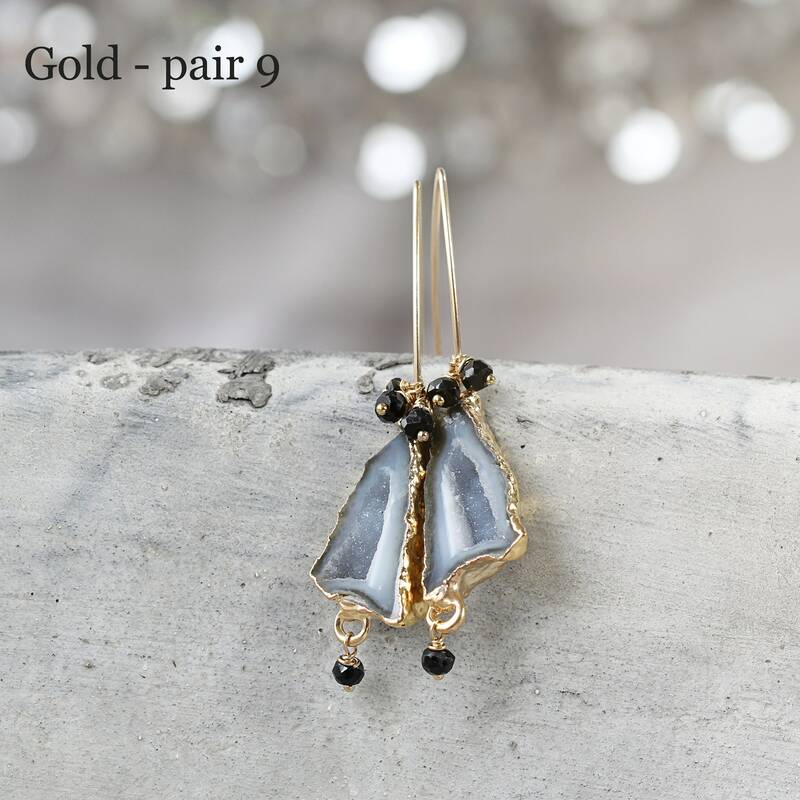 Lightweight, luxurious and easy to wear, these exquisite earrings make a fabulous gift for friend, family and loved ones. Or better still, keep them for yourself! The Diamond is the birthstone for April and is said to represent commitment, fidelity and trust, and to bring love and clarity into all partnerships and bonding relationships. Diamonds represent love, faithfulness, purity and innocence, making these beautiful earrings the perfect token of your love! Please select a pair from the drop down menu. 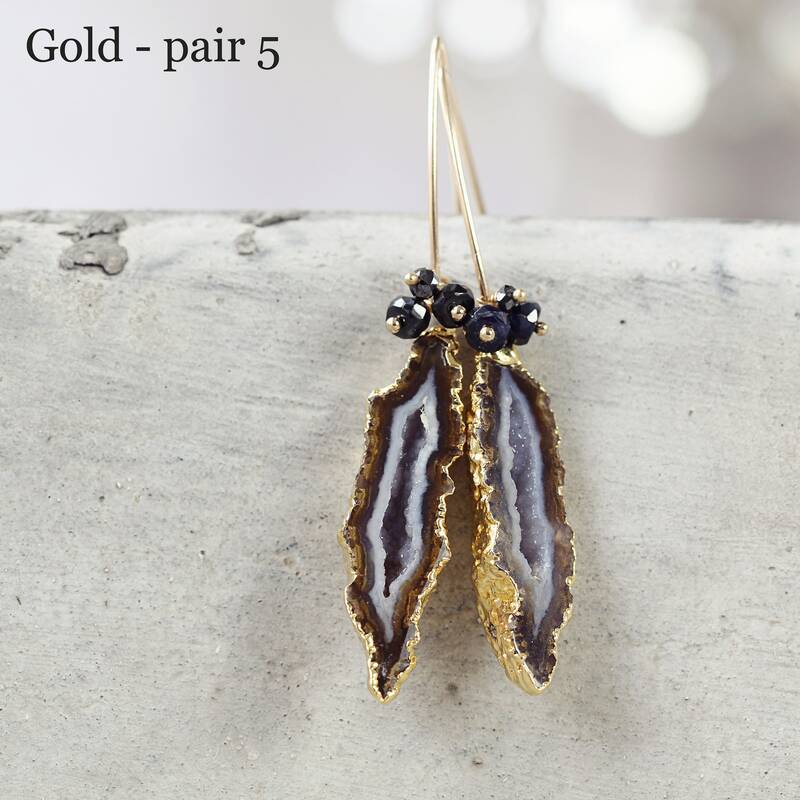 * Earrings measure approx 5.5cm up to 6cm from top to tail on average. 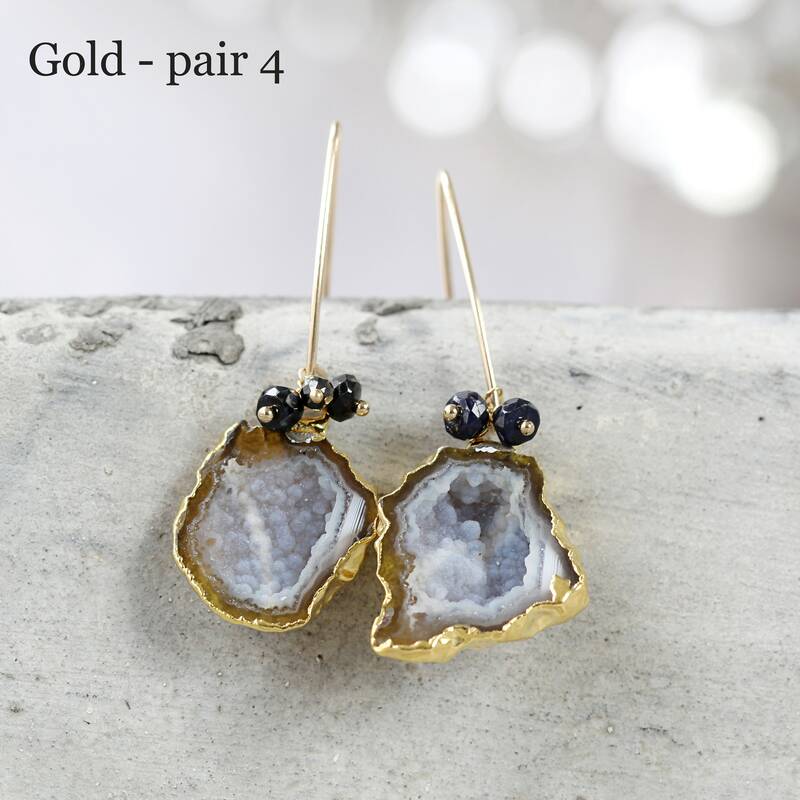 * Geode stones vary between approx 1.7 x 1cm up to 2 x 1.5cm on average. beautiful earrings. Thank you. Every time again.